Known as proxy purchase or supply, it is illegal to buy alcohol or cigarettes for anyone below the legal age to consume it or smoke. Now police have launched a crackdown on the practice, and have highlighted some of the implications for someone who is caught doing so – including jail or a hefty fine. 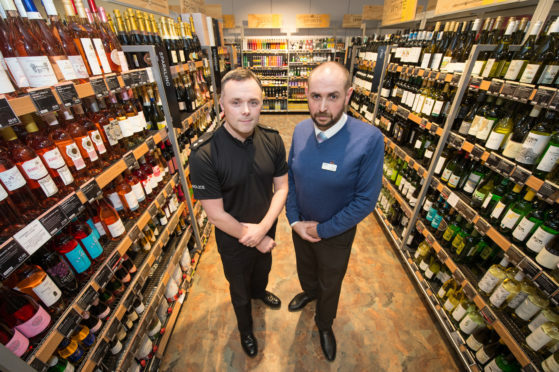 They have teamed up with off sales premises in the Aberdeen, Aberdeenshire and Moray council areas to run the You’re Asking For It campaign. Inspector Kenny McGeough hopes the campaign makes more of the public aware about the problem, particularly during the party season. He said: “My hopes for the campaign is public and premises awareness. I want staff to be aware of who’s buying the alcohol, could that person be buying the alcohol for under-age people and to be able to answer questions of what is going on outside the shops. “Public awareness to the fact that under-age drinking does cause quality of life issues and antisocial behaviour. Shop workers in the north-east have also been warned to be vigiliant.